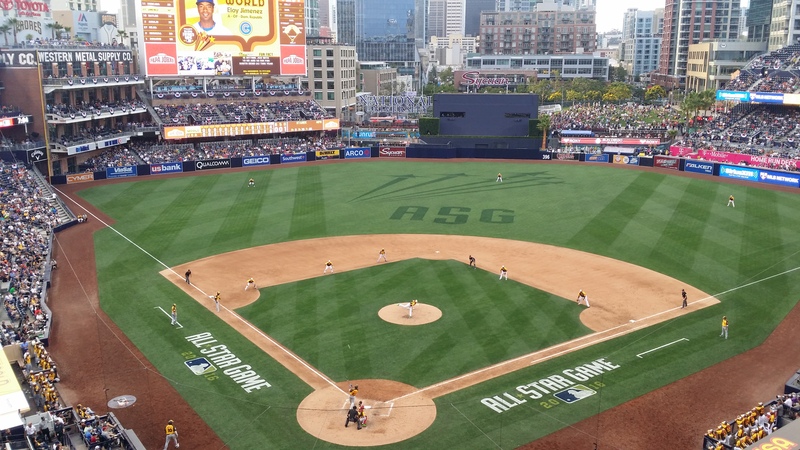 Major League Baseball yesterday evening announced the 2016 All-Star Game rosters, including the National and American League starters selected by fan voting. Among the noteworthy selections were seven Chicago Cubs, including five starters. For the AL, the Red Sox lead the way with six players, including four starters. Red Sox slugger David Ortiz was selected as a starter for the eighth time, his 10th overall and likely final All-Star Game selection. Royals catcher Salvador Perez was the top vote-getter this year, with 4,965,838 votes. Several positions had tight races, most notably the spot for NL second baseman, where the Cubs’ Ben Zobrist edged the Nationals’ Daniel Murphy by a mere 88 votes. For NL catcher, Buster Posey beat out Yadier Molina of the Cardinals by 105,049 votes. For those who have been following the All-Star Game voting trends, tonight is what you’ve been waiting for. Tonight at 7 pm EST, fans can tune into ESPN to hear the final decisions for starting positions. The show is hosted by Esurance and is set to take place before the broadcast of tonight’s Pirates-Cardinals game. In case you missed it, ASGNews covered the final day of voting and recapped a few of the close races. If you’re unable to watch, then be sure to follow @MLB on Twitter for live announcements.